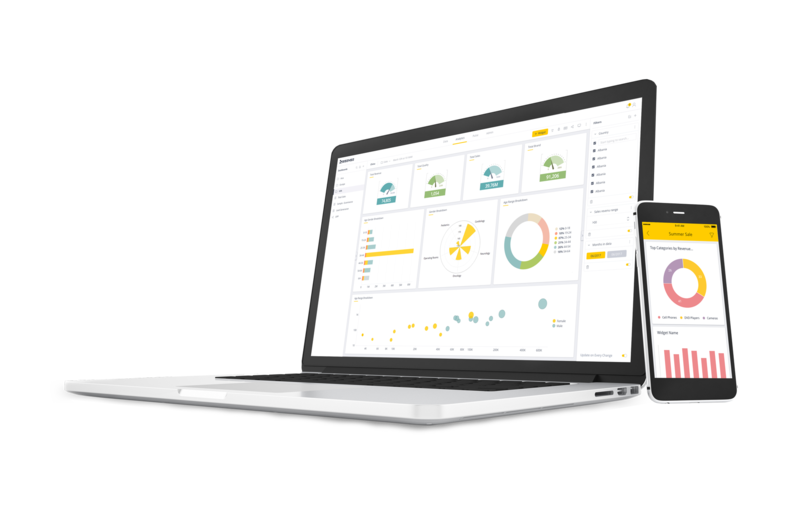 As a small, non-profit healthcare provider in Northern Georgia, Union General had dreams of bringing their data analytics up-to-speed with those of larger healthcare organizations. 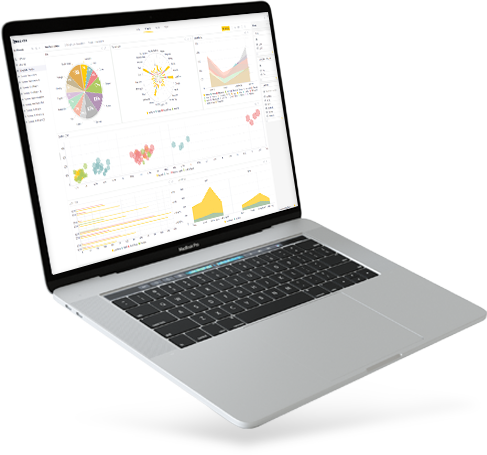 In order to have the ability to analyze and aggregate data across any of its 16 associated medical facilities, Union General needed a powerful, self-service BI tool that would let them solve their data preparation challenges on a limited budget and without any IT assistance. Manager of Decision Making Support, Karen Reff, had no BI experience but knew what she needed. After implementing Sisense, what took an entire day to pull together is now done in five-minutes. 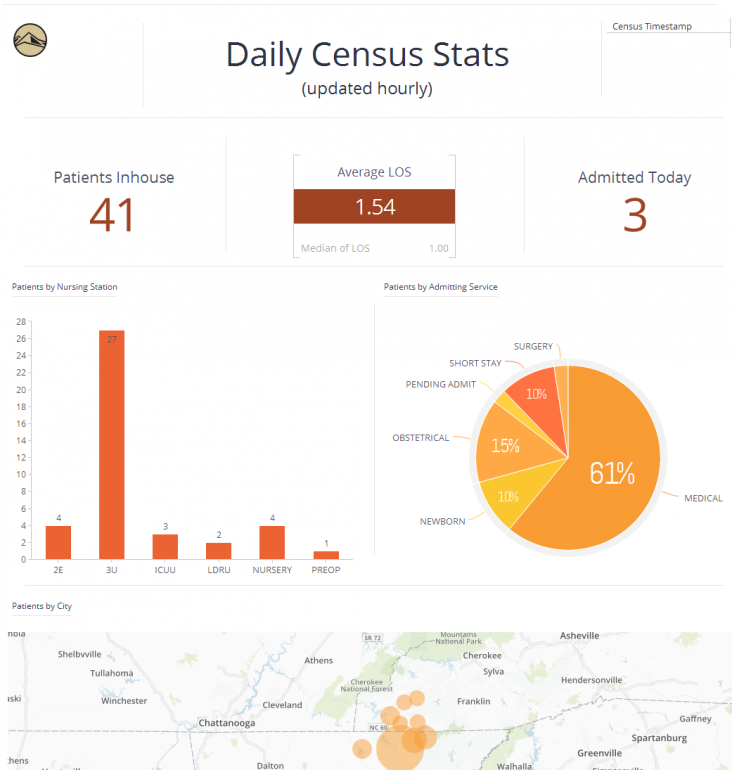 This allows Union General to return to their original goal of preventive patient care, quickly drawing insights from their data, improving patient care, and minimizing patient readmission into the hospital. We want to be able to provide patients with the best care possible, so they won’t have to be unnecessarily admitted to the hospital. That’s the ultimate goal of our data analytics program at Union General. Karen deals with about 20TB of data that is contained in relational DBMS and Excel files. The data consists of patient electronic medical records (EMRs), or digital versions of patient charts, and operational information required for day-to-day efficiency. The EMR system was woefully lacking in reporting capability, even the most basic information like who was in the hospital and what bed they were in would require a nurse to open a window in the EMR and physically count off the screen. The CFO was spending almost all of his time dumping data and manipulating it in Excel, making monthly board meetings a nightmare to prepare for. The limited IT resources at the hospital were stretched very thin and weren’t in a position to extend the EMR system, so Karen needed to find a solution that would work and didn’t require IT expertise to use. In nonprofit health care, you can’t get discouraged if you don’t have a million-dollar budget and a staff of 30 to support healthcare analytics. Sisense is allowing us to make progress within our means. Karen started an RSP process to review products. She spent eight-weeks vetting vendors and testing demos. As Karen had no BI experience, ease of use and ability to connect to a lot of data sources was paramount. After looking at a number of the major players, she narrowed it down to Sisense and one other product. Her deciding factor when making the decision to go with Sisense was price. As they deployed, she realized what a great decision going with Sisense was, because the ease-of-use had made IT totally unnecessary for reporting. The heaviest users are in Union General’s case management, administration, and emergency departments. Each department has a monthly report they have to put together and are learning a great deal about their business and how to make their care more effective. Whereas the emergency department director used to spend an entire day getting her statistics together, now with Sisense, she has a dashboard that takes seconds to load. The Head of Case Management has gotten very excited and creative as well. She frequently comes to Karen with ideas after she discovers some new insight. Often she wants to tweak a little something here and there, check if there is data available, or if they can add new data so she can better serve patients. It has been energizing to have all this new insight. Perhaps the area in which Sisense has provided the most notable insights to-date is in Union General’s case management department. Case management workers regularly drill into their dashboards, discovering patterns between patients, their circumstances and readmission. They use these insights to develop best practices to reduce readmission rates and preemptively keep patients out of hospitals. Monthly review and analysis of readmissions is one such best practice. Prior to Sisense, 30-day readmissions were reviewed and reported quarterly due to the time intensive process required to gather the information needed for analysis. Now, this information is reviewed and considered monthly by the case management team. And, with real-time information available, case managers can implement interventions and act on opportunities to reduce readmissions immediately rather than retrospectively. With new clarity into their data, Union General has also been able to look at ways to expand its offerings to best serve the community. For example, data garnered through analysis in Sisense assisted in pinpointing the best location for an outpatient clinic for patients with Chronic Obstructive Pulmonary Disease (COPD) and Congestive Heart Failure (CHF).